Founded in 2004 by engineers with a shared passion for developing new and better energy technologies, Brayton Energy is an innovative R&D firm dedicated to sustainable and efficient energy production. We specialize in design, prototyping, and testing of turbomachinery and gas turbine systems. We strive to apply these skills to alternative energy systems, including concentrated solar power, energy storage, pebble bed reactors, hybrid vehicles, and aircraft propulsion. Our 28,000 sf (2600 sq. m) offices, laboratory, and manufacturing center is located at a uniquely informal waterfront campus in Hampton, NH, approximately 40 miles north of Boston. Brayton’s technical staff of 35 engineers, designers and laboratory technicians have expertise in the design and development of advanced thermodynamic cycles and gas turbine engines. Our skills include the design and test of specialized components employed in these cycles, including turbines, compressors, low emissions combustors, and high temperature compact heat exchangers. Having served more than eighty clients, Brayton engineers have delivered a wide range of designs and hardware. The most unique characteristic of the Brayton team is our ability to focus analytical skills, experienced mechanical design engineers, and practical manufacturing staff on the most challenging technical problems within the energy sector. We offer innovative problem solving and seek the opportunity to build and test special purpose equipment. Brayton holds extensive intellectual property in turbomachinery, gas turbines, combustion systems, and high temperature heat exchangers. We have grown as a leading firm of advanced R&D in the emerging alternative energy industry. Collaborations with US universities, US government laboratories, and our industry partners broadens our strengths. Our staff has created specialized computational tools which are complemented by the industry’s leading CAD, CFD, and FEA tools. Our facility includes a CNC machining center, heat exchanger pilot production, special ceramic processing, prototype fabrication equipment, and laboratory facilities for combustion and turbomachinery testing. Brayton Energy is staffed by engineers, designers, and technicians with core competencies in aerodynamics, thermodynamics, heat transfer, and combustion. Our analytical strengths are complemented by an experienced mechanical design team, in-house manufacturing team, and test teams. Our combined skills are dedicated to alternative energy and advanced turbomachinery systems applications. As president of Brayton, Jim provides technical and managerial support for all of the company’s projects. Jim has worked in the field of energy conversion systems for 30 years, contributing to advancements in small gas turbines, low emission combustion systems, and recuperators. Jim began his career at Lockheed/Sanders, working on gas turbines, solar-dynamic space power, thermal storage, Stirling engines, and alkali metal heat pipes. From 1992 until 2001, Jim led the Ingersoll-Rand/NREC Energy Systems Business Unit and was responsible for the technical direction of the PowerWorks 70 and 250-kW microturbines, recuperators, and other advanced energy system development programs. Under Jim’s leadership, Ingersoll-Rand and NREC successfully introduced a line of microturbines, the WR21 recuperator, and the Siemens-Westinghouse hybrid fuel cell gas turbine, and participated in several gas turbine design programs for commercial and military clients. From 2001 to 2003, Jim was Ingersoll-Rand’s Director of New Product Development and Director of Advanced Technology. During that period he led the high-efficiency ceramic turbine development, introduced innovations in combined heat and power, advancements in low-emission combustion for alternative fuels, and developments in recuperators. Jim holds 17 patents relating to recuperators, combustors, and gas turbines. He is the ASME chair for the International Gas Turbine Institute (IGTI) Microturbines and Small Gas Turbine Committee, serving since 2002. 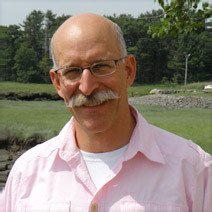 Jim received his BS in Mechanical Engineering from Worcester Polytechnic Institute and an MSME from the Massachusetts Institute of Technology. 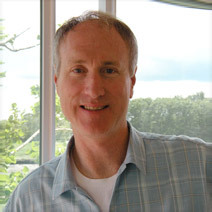 Tom is Brayton Energy’s expert in aerodynamics and thermodynamic modeling. Over the past 20 years, Tom has developed comprehensive design tools for gas turbine engines. His simulation models have been applied to the transient and part-load analyses of complex gas turbine cycles, turboprops, turbocharged reciprocating engines, and hybrid gas turbine fuel cells. Formerly at Ingersoll-Rand, he led design efforts associated with the design of high efficiency radial inflow turbines and compressors. Tom led the analysis and testing during the 10-year development of the Ingersoll-Rand (now FlexEnergy) microturbines. Throughout his career, Tom has concentrated on challenging aerodynamic design problems within turbomachinery. 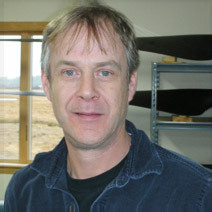 His 35-year professional career covers a wide range of analysis and testing techniques, including those for propeller blade dynamics and acoustic radiation. Tom has a Ph.D. in Mechanical Engineering (1990) and an MS in Aeronautics & Astronautics (1978), both from the Massachusetts Institute of Technology and a BS from Cornell University. Jim Nash leads Brayton’s Mechanical Engineering group. He has over 25 years of mechanical engineering experience focused on gas turbine hot-section design. Jim has in-depth understanding of high temperature structures, most notably gas turbine recuperators. His expertise covers a wide range of disciplines including structural mechanics, testing, manufacturing, brazing, welding, and metallurgy. At Brayton, Jim has led the development of sCO2 recuperators and several new microturbine recuperators. Dating back to his early work on the Army’s AGT-1500 and later on Ingersoll-Rand gas turbine recuperators, Jim pioneered innovations in high temperature thermal strain management in heat exchanger structures. Prior to joining Brayton, Jim was the Director of Recuperator Products at Ingersoll-Rand and led the highly successful recuperator program from concept to full production of several successful products including the Rolls-Royce/Northrop-Grumman WR21 recuperator and the IR-70 and 250 kWe microturbine recuperators. Jim also led several recuperated gas turbine integration test programs for IR, including the KHI 700-kWe, the TurboMeca TM1800, and the Siemens-Westinghouse hybrid SOFC programs. Other relevant projects in which Jim served as the PI/PM include the preliminary PBMR recuperator system design and the alternate LV-100 and LV-50 military vehicle recuperated gas turbines. The first nine years of Jim’s career were spent with Textron Lycoming, where he was a key contributor to the AGT-1500 tank recuperator development and testing. Jim has a BS in Mechanical Engineering from the University of New Hampshire, and completed the Ingersoll-Rand Executive Management Training Program. Malcolm is the leader of Brayton Energy’s mechanical design team, with expertise covering design for manufacturing, gas turbine structures, and rotor dynamics. At Brayton applies his 25 year of gas turbine design experience to a range new engine development programs. Prior to joining Brayton, Malcolm was the lead mechanical design engineer for the Ingersoll Rand IR-70 and 250 kW microturbine engines, and was also a key team member and co-patentee of the IR recuperator. His focus has been on critical design issues for the core engine, encompassing FEA analysis of rotor overspeed burst and containment issues, seals, bearings, and shaft dynamics. 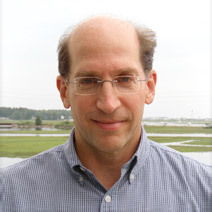 Malcolm is Brayton’s chief expert in solid modeling and computer-aided design, supervising a team of designers and draftsmen performing these activities. He is also very experienced in the laboratory environment, directing testing of gas turbines at Brayton and IR. Responsibilities covered instrumentation for rotor dynamics measurements, and for performance validation of engines and recuperators. Malcolm holds a B.S. Mechanical Engineering from Massachusetts Institute of Technology. Shaun has been committed to developing sustainable and renewable energy solutions for over 16 years, during which time has worked on projects in solar power, energy storage, hybrid/electric vehicles, biomass utilization, combined heat and power, fuel cells, distributed generation, and high efficiency/low emissions power systems. 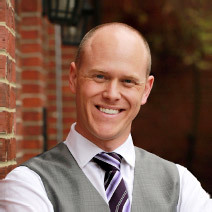 He joined Brayton in 2008 with expertise in heat transfer modeling and thermal analysis, and soon became the resident expert in analytical modeling, numerical simulation coding, and custom programming for systems and performance evaluation. In addition Shaun is the Principal Investigator and Project Manager for two ambitious competitively-awarded SunShot programs a funded by the Department of Energy. In 2018, Shaun led Brayton’s initiative in winning the GEN3 program, the US DOE’s flagship program to bring competitive CSP with thermal storage to the market. Prior to joining the Brayton team he worked at Ingersoll Rand Energy Systems (now FlexEnergy), a leading manufacturer of small-scale turbines for backup, alternative-fuel, and distributed power generation. While there he was responsible for creating the detailed analytical, statistical, and empirical models that were used to predict system behavior, evaluate fielded engine performance, and generate the value propositions for proposed new technologies. Shaun holds an M.S. in Mechanical Engineering from MIT where he designed, modeled, built, and tested a microscale heat exchanger that was fabricated using techniques developed for the microchip industry. This heat exchanger was an essential component for a 1-inch microturbine being developed for a person-portable distributed power application. Shaun also received a B.S. in Mechanical Engineering from Rensselaer Polytechnic Institute. Brayton serves clients around the world. We bid competitively on governmental research initiatives, and support many great US corporations; large and small. Brayton Energy is a leading R&D group dedicated to making meaningful contributions in the field of environmentally responsible, sustainable energy production. Our work in supporting innovative R&D efforts leads to a unique variety of assignments for our technical staff. Specializing in design, prototyping and testing of turbo machinery and associated systems, Brayton Energy offers an informal work environment near the ocean in Hampton New Hampshire. Our engineers see a diverse range of challenges, and must be comfortable switching between analytical and experimental tasks on a frequent basis. Our work environment rewards creativity, enthusiasm, team collaboration, and a willingness to see problems through to completion without close supervision. Brayton offers a dynamic environment where your contributions really make a difference.